Glad to see the American Administration is opting for jaw-jaw instead of war-war as news is filtering through about talks between Uncle Sam and the Afghan Taliban are making “significant progress”. The talks are aimed at bringing an end to this 17-year-old war which should never ever have happened. I was contemplating life and the universe in a Taliban prison cell in Kabul on the night the US and Britain dropped more than 50 cruise missiles on the Afghan capital. You can feel a cruise missile from 20 miles away, I can still hear it when I close my eyes, but I got a real flavour of the panic and fear experienced by Afghans living in Kabul that night on October 7 2001. When I was released on humanitarian grounds I annoyed many people by criticising the war and predicting the Taliban would never stop fighting for their country. I gleaned this in just 11 days of being held prisoner by these scary looking men with their large black turbans and massive, bushy beards. Sadly it has taken the US and its Allies slightly longer and I don’t even want to think about the cost in Afghan civilian lives as well as the military on all sides. This war should never have happened and was nothing more than a knee-jerk reaction to the horrific events of 9/11. The good news is that after six days of talks in Qatar there seems to be some light at the end of this very long tunnel with talks being described as much “more productive than they have been in the past”. 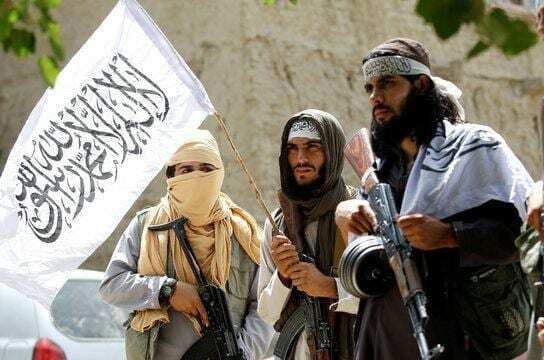 Apparently, there’s even a draft agreement on the table which calls for a withdrawal of foreign forces in return for assurances that al-Qaeda and the Islamic State (IS) group will not be allowed to use Afghanistan as a base. At least the smoke signals today are much more encouraging. Afghanistan is a great country with great people and hospitality far beyond anything I’ve encountered anywhere in the world. They deserve peace in their lives for them and their children.